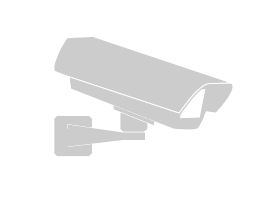 Keeping tabs on people, property and possessions can be a painstaking process, but here at William Stewart Investigations we can provide the finest surveillance Brighton service of all. Whether you’re looking to catch cheating partners, provide a mystery shopping service, keep an eye on a prized possession or perhaps to locate a missing person, you need the experts on your side from the start. We have a number of years of experience to count on, as well as a sound understanding of the best techniques. Our experts are highly skilled, thoroughly discreet and totally professional. We provide a fast, effective service that can be trusted to deliver results time after time. Whether you have a problem with trusting an employee, believing a spouse or protecting farm equipment, our investigators can help. The clients we have assisted in the past come from all sectors and all backgrounds, so we know all about the need to offer a comprehensive service that covers every potential issue. Confidentiality is a must, of course, for both individual and corporate clients. Over the years, we have helped clients to recover lost property, to determine the honesty of employees, to catch cheating husbands and wives, to find previously missing persons and to establish the truth about people who are cohabiting when they shouldn’t be. If you are keen to establish the truth, one quick call to William Stewart Investigations is all you need to start the process. We are available for a quick chat that will help you to determine what needs to be done, and of course every conversation is treated with sympathy, understanding, discretion and confidentiality. Contact us on 0800 158 3683 and see what we can do for you. © 2019 William Stewart Investigations.